Patients who’ve been injured or harmed due to improper medical treatments or misdiagnosis can file a medical malpractice claim in Annapolis. This can be filed against the medical that treated them (doctor, technician, nurse, surgeon, medical doctor, etc.) or against the hospital. The medicals and medical facilities are obligated to maintain a standard of care and if they fail to provide proper care they can be sued. You can contact your malpractice attorney in Annapolis and determine if you’ve been the victim of medical malpractice. A malpractice attorney from Annapolis can help you with your case, knows the law, can represent you in court, and brings expert witnesses to give a testimony for your case. It is much easier to gather the evidence you need with the help of a professional who is specialized in this type of cases. Before filing your claim, you can get in touch with the medical professional who works with you. This way, you will get a better understanding of what might’ve gone wrong. Most medicals are willing to provide free of charge services to correct the problem. If your medical professional is unable to help with the situation, you could contact the licensing board that is in charge with medical licenses. While the board might be unable to order the medical to compensate you, they can issue a warning to the practitioner. This can be done including for medical malpractice medication errors in Annapolis. When deciding to file a malpractice claim, it is crucial to know the time in which you can bring the claim to court. In Maryland, you have 5 years to file your claim from the moment you got hurt or 3 years since you discovered the injury (or other medical malpractice). In order to prove your injury was the medical’s fault, you will need a “certificate of merit” where it is stated the injury you suffered resulted from the negligence of the healthcare professional. 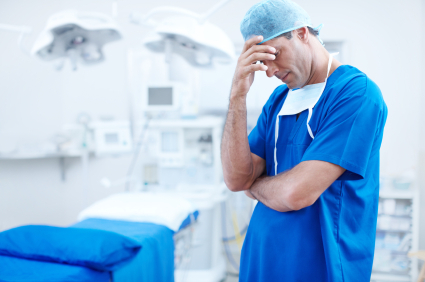 Most of the time, medical malpractice cases take a lot of time and can leave you bankrupt. That is the reason why many people prefer to settle out of court. Furthermore, many insurance companies reject a large portion of medical malpractice claims so it may be in your interest to settle, instead of risking having no case at all. Getting a qualified medical malpractice attorney can mean receiving compensation or walking away empty-handed. Contact the best malpractice lawyer from Annapolis at (443) 569-3950 or send an email at [email protected] for a free initial evaluation of your case.